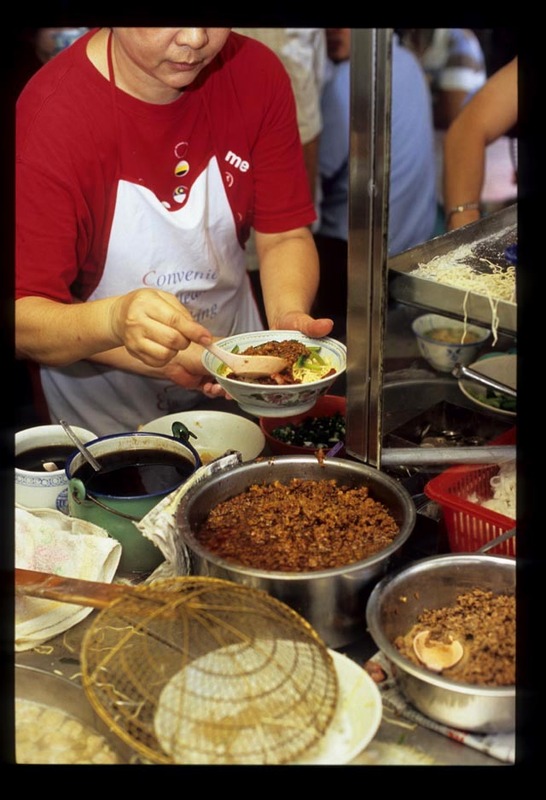 That's how an Eating Asia tipper (the same reader who led us to herbal loh see fun heaven) described the Hakka pork noodles dished up at a corner stall in Pudu. We've sampled - and swooned over - this calorific dish at a newish place on Jalan Klang Lama and, while we especially loved that version's wide, almost paper-thin egg noodles, it must be said that this bowlful is beyond fantastic. Lard, of course, is the key, but it's more than fat that draws the crowds to this spot (we drove by at 8am on a Sunday - packed. We returned to eat three hours later - packed). The springy, al dente noodles are topped with chopped pork done two ways - stewed and fried - so every chopstickful delivers meaty bits both tender and crackly. The teeniest bit of soy, a splash of lard (just a splash! 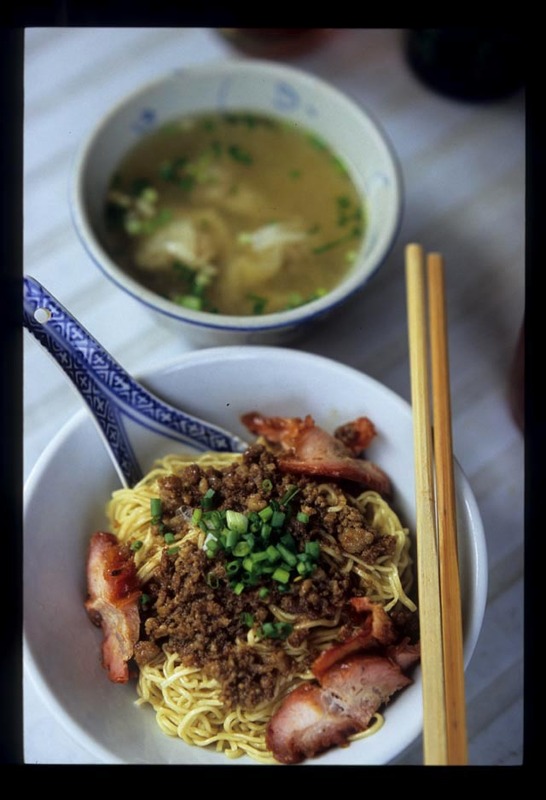 ), a scattering of scallions, a few thick slices of juicy barbequed pork scattered around the edge of the bowl, and these mee are ready to serve. Dry (soup and dumplings served on the side) is the way to go here. Too much soup would dilute the noodles' lardy-ness, though a spoonful or two of the not-too-rich, not-too-thin broth assists mixing. 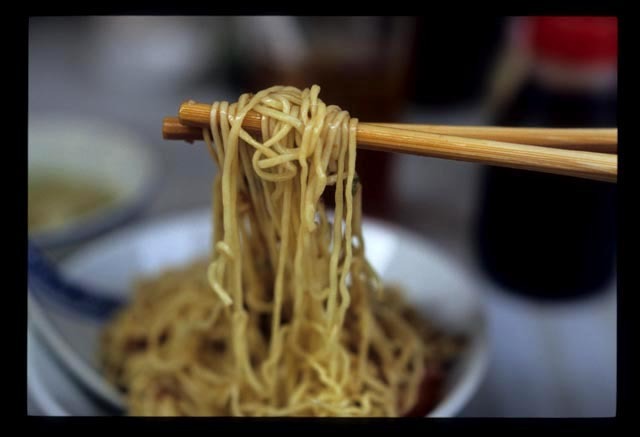 Between mouthfuls of noodle we assess the merits of the dumplings - assertively porky filling encased in thin wrappers that nonetheless that hold their own in the hot stock. Still, in the end, at this place it's all about the well-lubricated mee. We suspect the stall's other greasy-lipped customers, many of whom have probably been patronizing this eatery since it opened years and years ago, couldn't agree more. 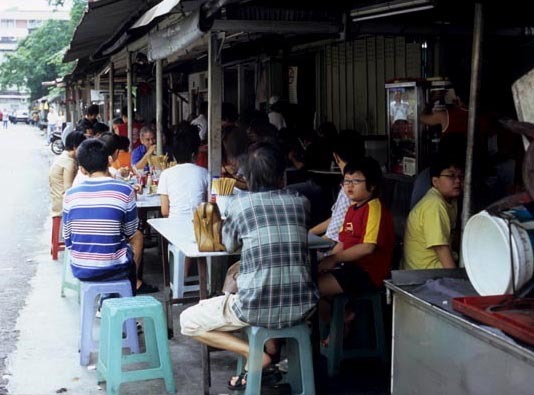 Hakka pork mee stall, at the mouth of small lane just before Jalan Pasar (if you're coming from the direction of the old jail), off Jalan Pudu. 630am-200pm, though sometimes they run out early. Closed Mondays and the 1st and 15th of every month. wow... looks delicious esp i'm a hakka. may i also put this in my blog? with your permission 1st. I'll refer back here. anyway, i love wantan mee. i'll take double usually with extra toppings and wantan. DeV/LisH - thanks for stopping by ... I'm not fussy so Hakka mee, Sarawak laksa, char siew, chicken rice - any and all make a fine bkfast for me. 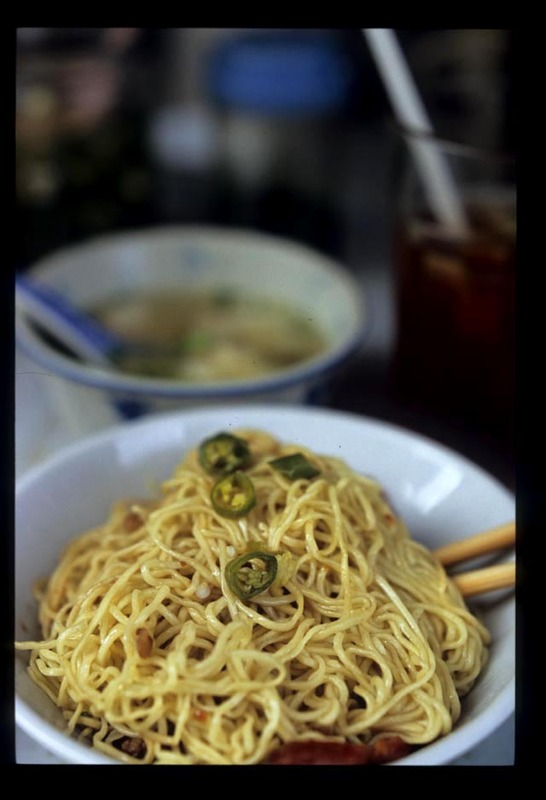 I develop a sudden craving for noodle after staring at your photos! Ciao... I am off to eat noodle now!!! The pickled green chillies give the noodles yet another taste sensation. 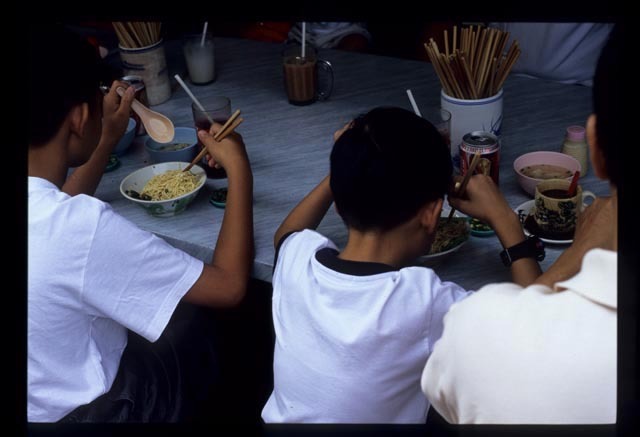 one of the best Hakka Mee i have had, havng travelled to many around Malaysia serving the same. they have been around here for the past more than 50 years. Sorry Colin, I have to disagree. I've eaten at this place twice in the past 10 days and the Hakka mee are as good as ever. You know, I never knew that Hakka Mee requires lard for the flavour. If only they'd thrown in some crunchy pieces of those fried ones, that'll be heavenly. Now they open till 9pm.